REGISTRATIONS WILL OPEN IN THE SUMMER 2019, stay tuned! Click to complete online evaluations. This 2-day Continuing Pharmacy Education seminar offers the perfect opportunity for pharmacists to head to Austin, Texas for fun and education – all in one weekend! Bring along your technicians and further enhance your experience by learning and training together as a team. The Pharmacy Practice Seminar (PPS) is FULL of relevant and practical content (15 CE hours), which is useful in both hospital and community practices. 2018 Evaluations must be completed by November 27. No credit may be awarded after November 27, 2018. Pre-Seminar Programs take place on Friday evenings prior to PPS. 2019 programs under development. The Sterile Compounding Update (formerly called the IV Update) is designed for pharmacists and technicians who have already completed their sterile compounding training and now seeking CE in order to maintain their certification. NOTE: This Sterile Compounding Update offers two hours of ACPE-accredited CE, based on content specified by TSBP Rule (291.133). Please click here for course details. The Immunization Update is a 3-hour course designed for pharmacists who are already certified to administer immunizations and vaccinations. The goal is to provide attendees the relevant immunization updates, in order to keep abreast of current immunization practices. NOTE: This Immunization Update course meets the TSBP-required 3 hours of immunization-focused CE credit to maintain immunization certification. Please click here for course details . 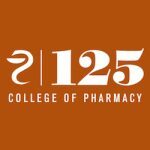 In 1893, pharmacy leaders in Texas came together to discuss the future of pharmacy leadership and founded the College of Pharmacy at The University of Texas at Austin. Over the past 125 years, the College has greatly impacted healthcare in the State and beyond. We invite you to this year’s PPS as we celebrate 125 years of the College of Pharmacy with an evening dedicated to the Pharmacy Alumni Awards. Please join us for the College of Pharmacy Alumni Awards on the evening of Saturday, September 29 at the DoubleTree. Details follow below.